The practice of smudging, or purifying a room with the smoke of sacred herbs, can help clear negative energy from a space. And the apparent benefits are steeped in science—when burned, sage and other herbs release negative ions, which research has linked to a more positive mood. If you have moved into a new place, or have had an argument in your home, you might want to give it a smudge to cleanse the air. Before you begin, open a window or door. Place the herbs in an abalone shell, or a clay bowl, and light them with a wooden match. Then gently blow out the flame, letting the material continue to smolder. You start on the left side of the door and you stay to the left all the way through the house or apartment, while praying the whole time. With the smoke you ask for the good spirits to stay and the negative spirits to go away. When you get to the front, you shoot the smoke out the front door and then you wait a minute or two. Then you go outside and you put the ashes of the sage on the doorstep, and that is to protect the entrance. Once finished, you can leave the bowl in a safe place and let it burn, filling the room with fragrant smoke. Treat any leftover ashes with intention. A proper way to dispose of them is to take them outdoors and leave them on the earth. 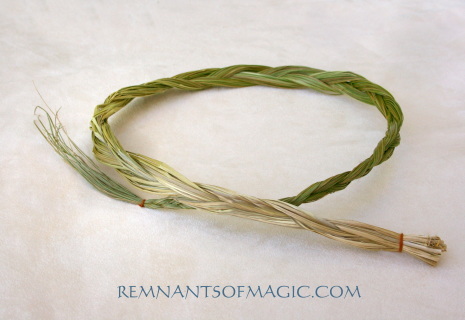 The California White Sage Smudge Sticks are 3" long and each bundle is hand tied. The California White Sage Smudge Sticks are 9" to 10" long and each bundle is hand tied. 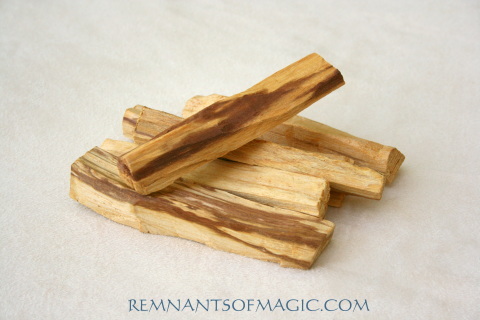 Palo Santo or "Holy Wood" is a tree that grows on the coast of South America and is related to Frankincense, Myrrh and Copal. It is an aromatic wood used for centuries by the Incas and other cultures as a spiritual remedy. Used for incense and smudging it creates a pleasant, fresh smelling smoke with hints of mint and citrus with underlying notes of frankincense. Thought to purge bad spirits, it is also said that it enhances creativity and brings good fortune. This item sold in sticks and size of sticks may vary between 3.75" to 4.25". 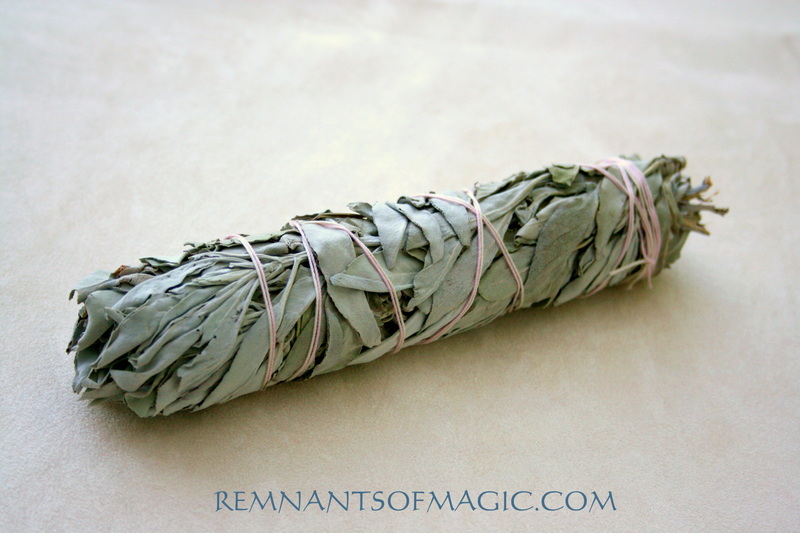 Clearing Your Body Smudging is not only for spaces; it’s also for clearing your body, mind, and spirit of any negativity, stagnation, or energetic disturbances within or surrounding you. Make sure to invite the sacred smoke around your body from head to toe and front to back before smudging your space. Before you light your sage, and begin the process of smudging a room or your entire home, it's best to start with a prayer and set your intention to cleanse the space and release any and all negativity into the light. Next, it's a good idea to close the windows, and any doors to the outside. Remember, you are playing with fire here, so you want to be sure you're doing so consciously and safely, by eliminating drafts. Okay, now you're ready to light your sage! Carefully light your white sage at the tips of the leaves, making sure you have a fireproof bowl or plate ready to catch any ash as it burns. 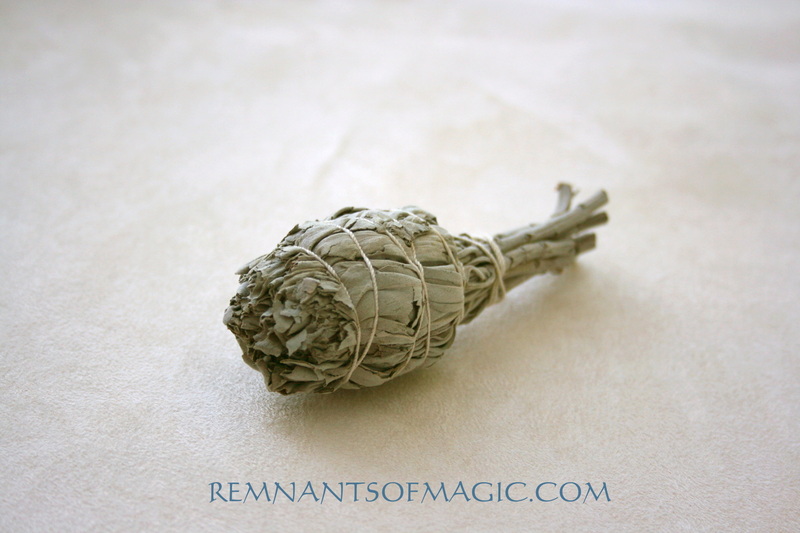 Again, sage smudging is the most powerful, not when the sage is burning with a flame, but simply smoldering and smoking. 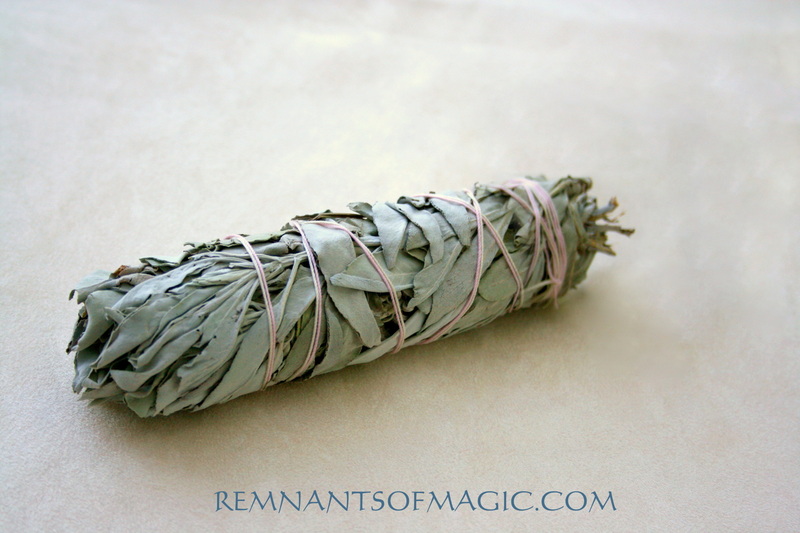 If your sage is burning and you can see the flame, just blow it out and you're ready to begin smudging. When smudging your house, you'll want to start from the back of the house and move to the front. If you have multiple levels, start from the bottom of the house and move to the top. When you select the room you're going to start smudging in… Begin in one corner of the room, and move methodically around the room or rooms. As you smudge, make sure to waft the smoke up toward the ceiling and down to the floor, starting from the bottom and moving to the top. Try to get behind furniture and in all other nooks and crannies in the space. You can use your hand, a feather, or smudge fan to waft the smoke, or simply push the smoke where you want it to go by carefully moving the entire smudge stick (and your fireproof bowl to catch ashes) in that direction. When you reach a window or door, waft the smoke into all four corners, beginning at the bottom left and moving in a clockwise direction. Open cabinets and closets and waft inside, holding in your mind the intention to release density, stuck energy and negativity into the light. The last room you smudge should be the one with the front door. When you're finished, move outside and waft around the four corners of the door. And finally, close with a prayer of gratitude.